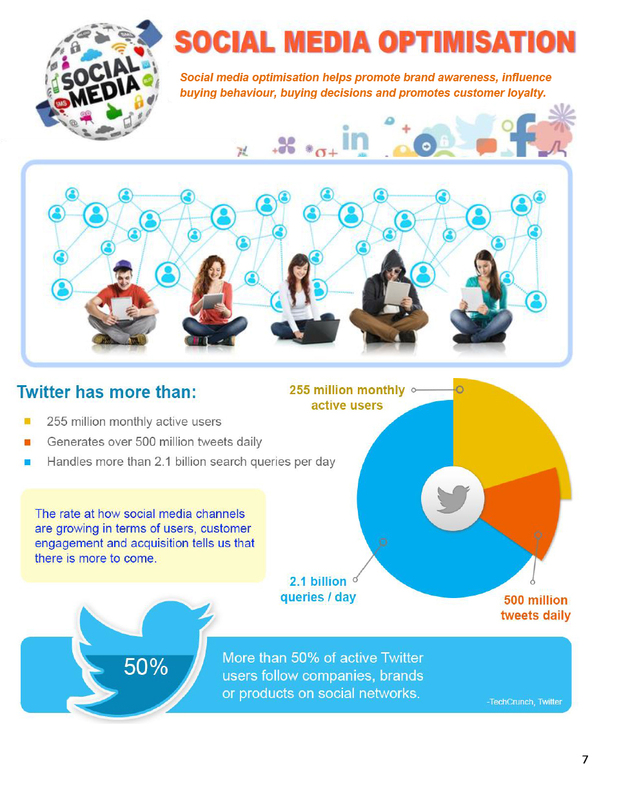 Social networks are no longer just platforms for us to communicate with high school mates, families, and friends. 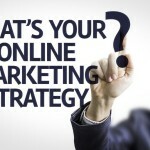 These are marketing tools now that when properly optimised, can bring traffic, leads, and sales to your business. 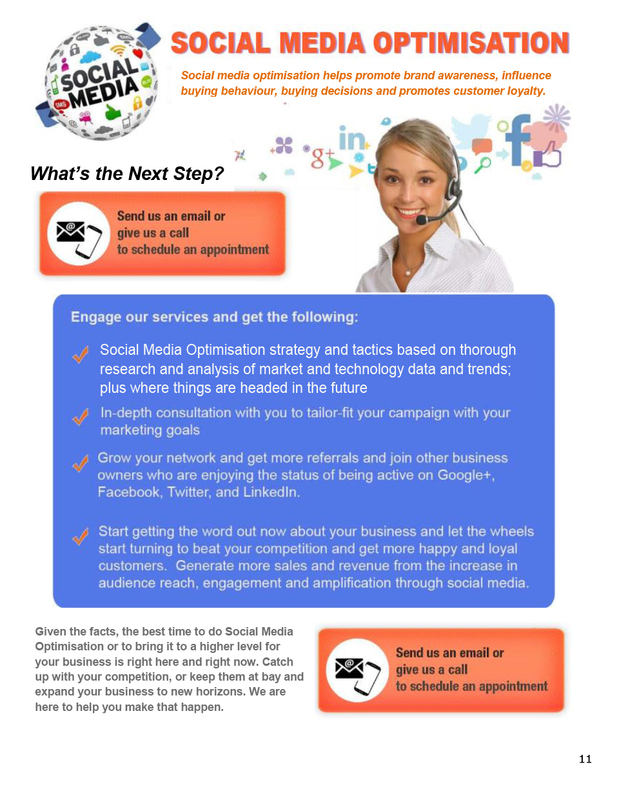 This is where our social media marketing services come in. 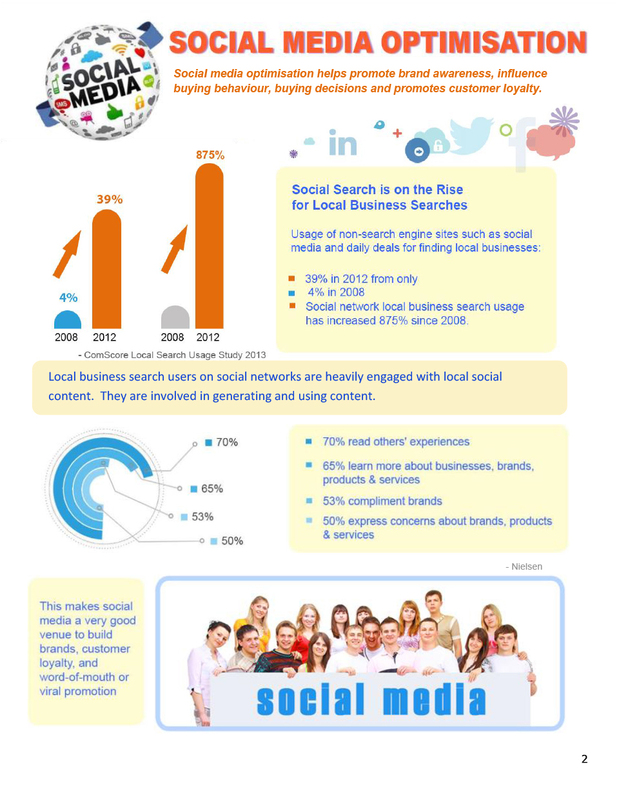 We focus our efforts on the four biggest online social properties today: Facebook, Google+, Twitter, and LinkedIn. 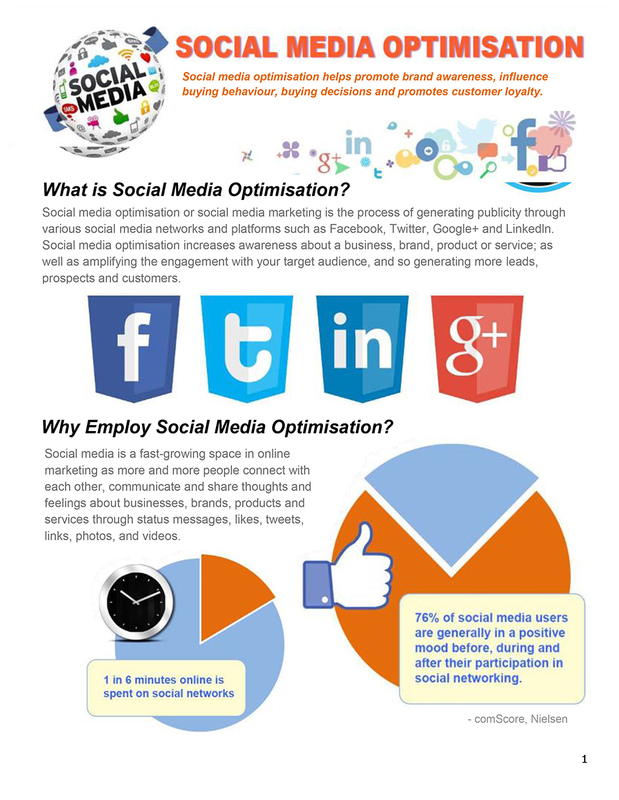 We however, also provide social media optimisation for YouTube, Pinterest, Blogger and many more. 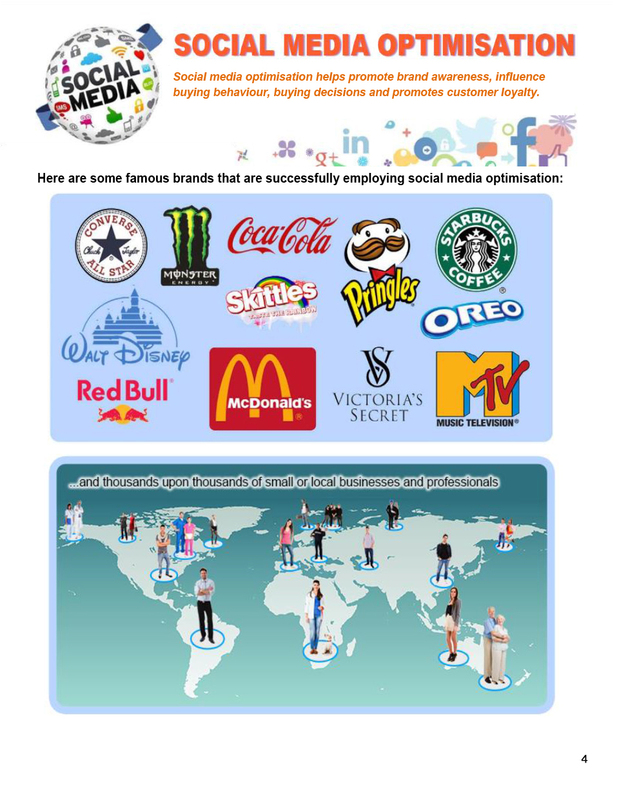 We can set up and optimise your accounts in all these networks. 1. 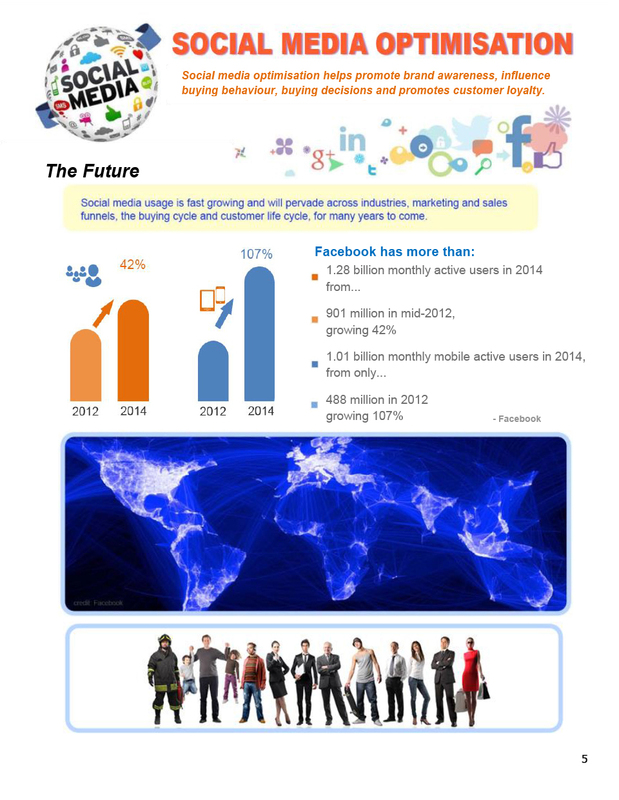 Facebook – Facebook has more than 1 billion monthly active users and is growing day by day. 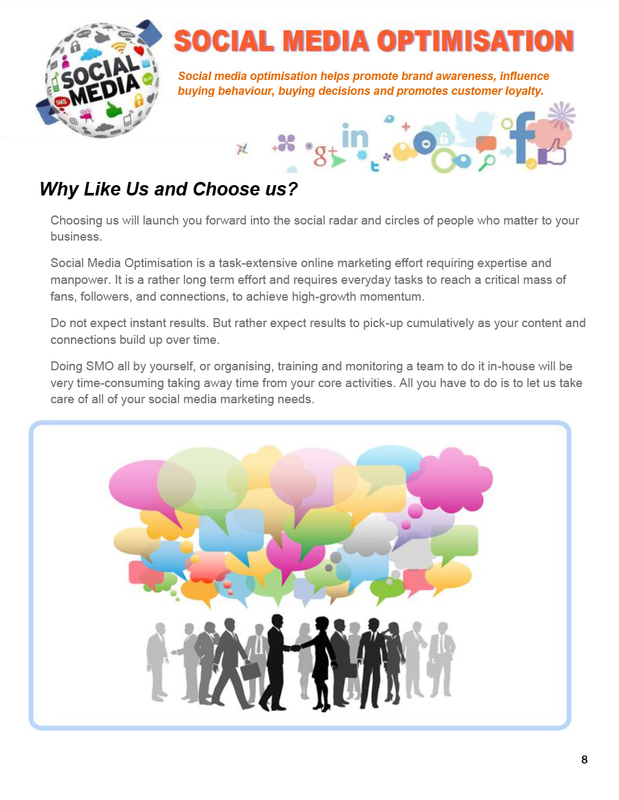 Your prospects are on Facebook and they need to see optimised profile and fan pages that reflect your brand. They need to see your business information. They want to see there’s a human behind the business and so they want status posts, messages, and comments. We’ll make sure your account is active and well-maintained. 2. Google+ – The newest player in the game is now the No. 2 social network. 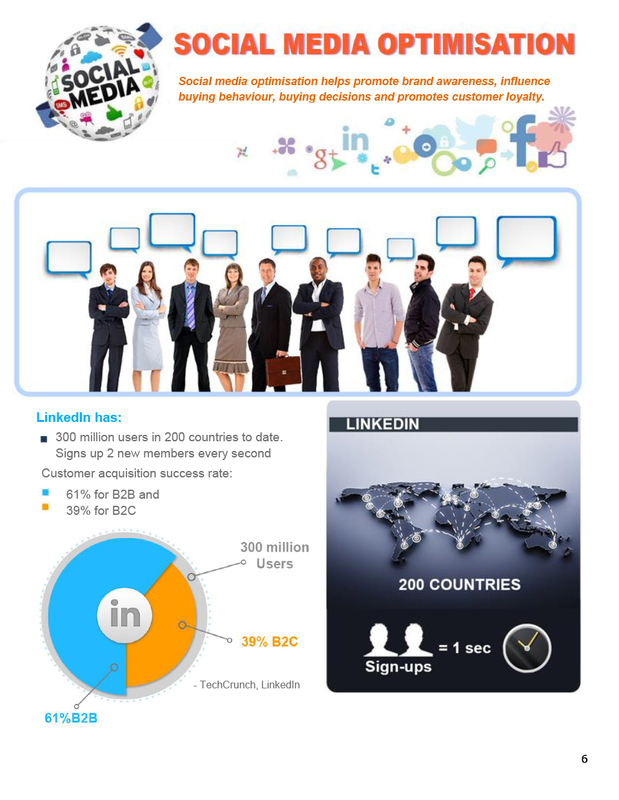 It now has 269 active monthly users. 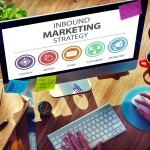 What makes it special are the SEO benefits it brings. 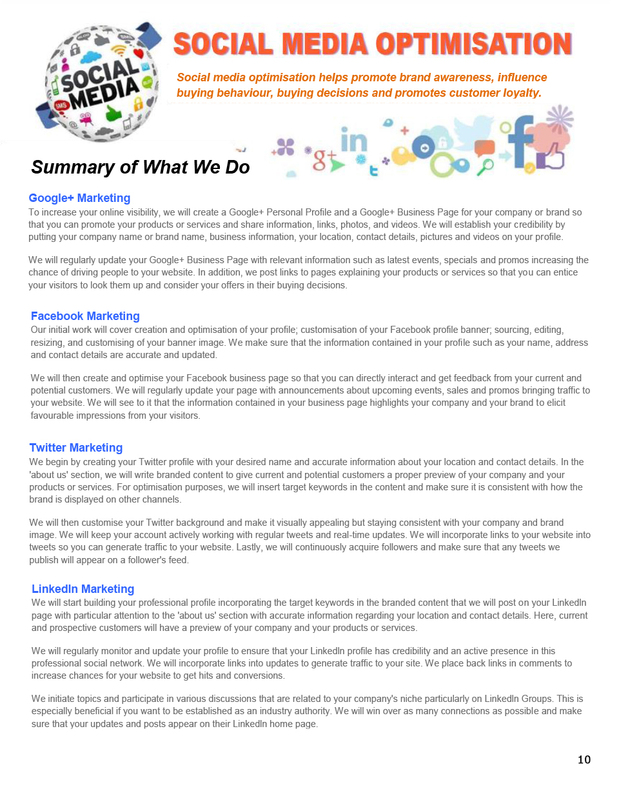 We’ll set up your profile and optimise it with the right business information, keywords, and images. 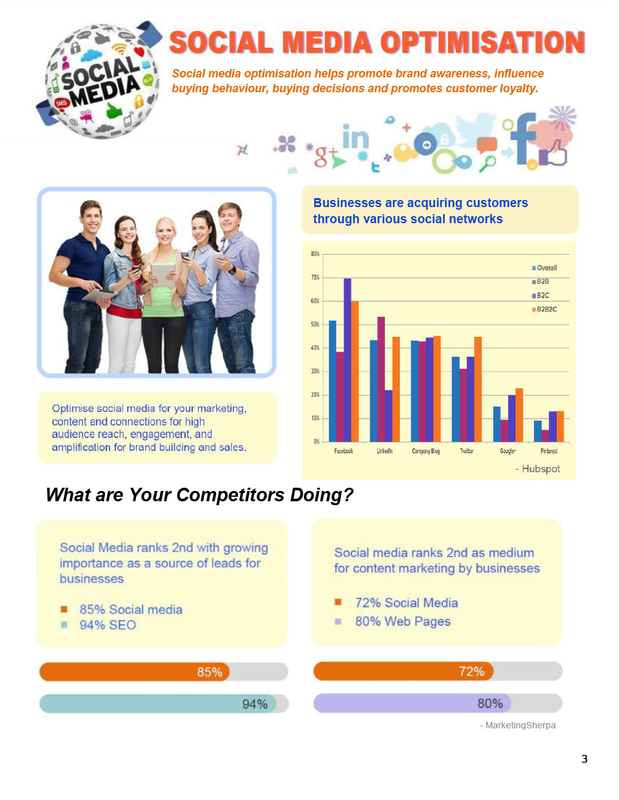 We can post updates and share posts to boost your online social presence. 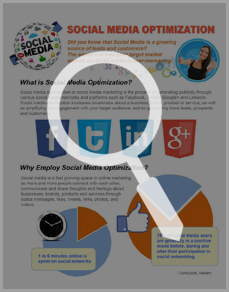 Social media optimisation is a task-intensive online marketing effort. It requires daily hours of interacting with prospects. SMO can be a full-time job on its own. Don’t let it distract you from your core business. 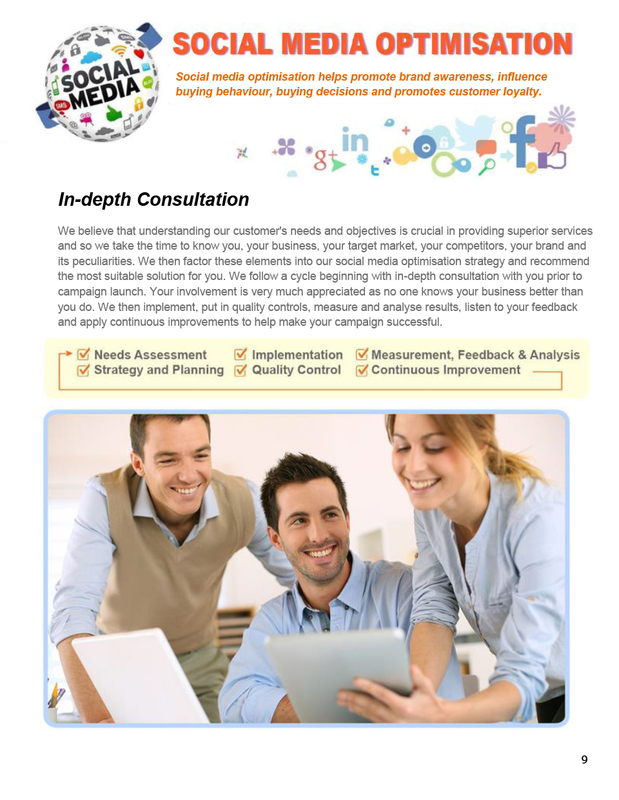 Send us a message now or call us at +44 (0) 1234-771053 and let us take care of your social presence.